Open tight contacts with a TruContact sander before placing the matrix. The matrix may be trimmed with scissors to account for papilla height. Place the Bioclear Anterior Matrix deeply into the sulcus for proper cervical adaptation. For large spaces, use the hourglass-shaped wedges included in the kit. The Bioclear Anterior Matrix System is a set of clear Mylar forms for use in placing anterior interproximal composite restorations. The system consists of anatomically shaped matrices that create a natural emergence profile while minimizing cervical flash. The Mylar shape is strong yet is only 50 microns thick. 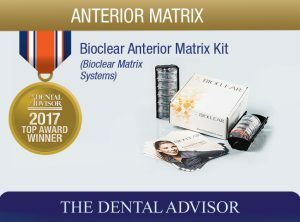 The Bioclear Anterior Matrix Kit includes two shapes (incisor and diastema closure) each in three sizes. The anatomical shape of the matrices allows composite to be injected into the embrasure without resulting in an overhanging margin. 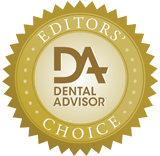 The Bioclear Matrices are indicated for Class III restorations, diastema closures, and black triangle corrections. The system contains 60 assorted matrices, wedges and TruContact contact saws and sanders. 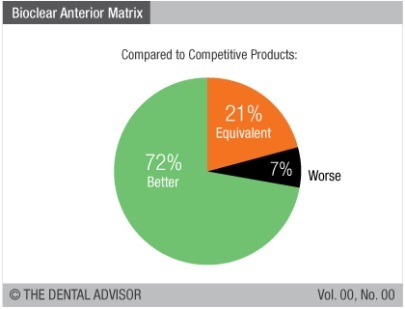 The Bioclear Anterior Matrix Kit was evaluated by 28 consultants in 244 uses. 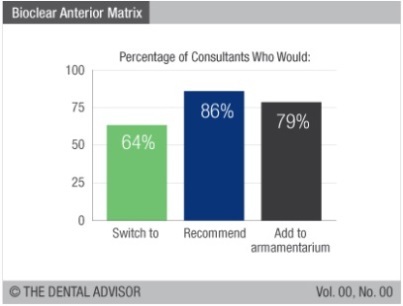 This anterior matrix system received a 91% clinical rating. 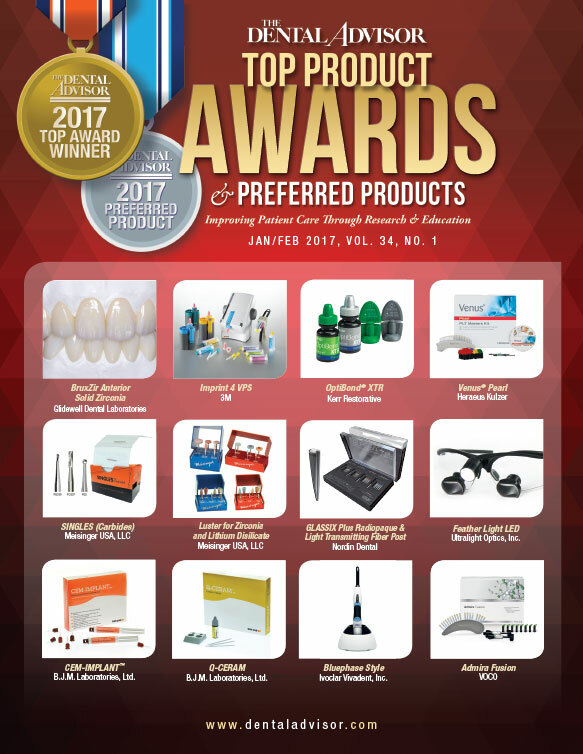 The Bioclear Anterior Matrix Kit is provided in an organized kit that keeps the different components separated for easy selection. The matrix material is thin and produces good interproximal contacts without leaving any open space. The anatomical contour leads to excellent cervical adaptation, sealing out potential moisture during composite placement and preventing overhangs at the margins. 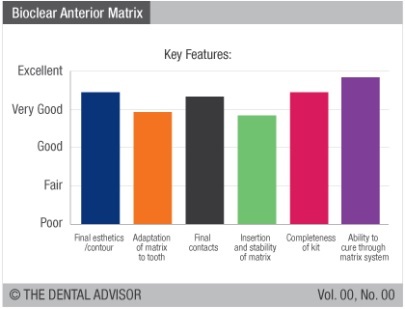 An incisal tab on each matrix identifies proper orientation. Use of the Bioclear Anterior Matrix facilitates cases of anterior bonding and achieving a straight midline and even embrasures. The Bioclear Anterior Matrix is especially useful in closing gingival embrasures (black triangles). The close adaptation of the matrix allows placement of composite that follows the natural contours of both the tooth and the gingiva without the need for excessive subgingival finishing and polishing.